I have been a very naughty blogger being gone so long. But…I’m back…at least for today. But I know I need to blog more often, if only to stay regular. And we all know how being irregular really screws with your system. So, let’s make that goal numero uno for 2011, shall we? There now. That’s my first goal for the new year. 1A. And first on the unwritten, unofficial To-Do blogging list, I’d like to welcome the three new members of the Bookanistas!! Jen Hayley, Shana Silver, and Gretchen McNeil! Let’s give them a rousing welcome, k? 1B. In other news, Michelle Hodkin’s Cover and Scott Tracey’s Cover have been revealed! Check them out. They’re amazing! 1C. My first review of the year—THE HEALING SPELL—is below. But make sure you check out what books the other Bookanistas are spotlighting. We’ve got a large crew reviewing today! Goodreads summary: Twelve-year-old Livie is living with a secret and it's crushing her. She knows she is responsible for her mother's coma, but she can't tell anyone. It's up to her to find a way to wake her momma up. Stuck in the middle of three sisters, hiding a forbidden pet alligator, and afraid to disappoint her daddy, whom she loves more than anyone else, Livie struggles to find her place within her own family as she learns about the powers of faith and redemption. Livie's powerful, emotional, and sometimes humorous story will stay with readers long after the last line is read. I have to admit, I didn’t expect to like this book as much as I did. I stupidly thought it would just be a sweet middle grade book that I whipped through and would say, “Aw, that was nice.” I can be a dork like that. But honest to freaking greatness, I bawled at the end of this. I was so absorbed, and when that climactic moment came, I was sitting on the edge of my seat, reading as fast as I could—and yeah, I gasped and felt a tug in my chest. So. Yeah. Not your average middle grade book. And there weren’t any mythical creatures or flying things. Just a baby alligator named T-Baby that stole my heart. Did not see that coming. I’m not one for reptiles, yo. But Livie’s T-baby was just so darling. Little did an amazing job sucking me into the world of THE HEALING SPELL. The bayou, the Spanish moss, the alligators and the crawfish and Cajun traditions. Just brilliant, I tell you. She painted such a vivid picture, it was like getting to visit. And Livie’s voice—my word it was strong. Honestly, I misread her age at the beginning, thinking she was 14, and for the longest time I thought, no way is this kid 14. 11…12 tops. Then come to find out, she actually was eleven going on twelve—talk about capturing a voice on the page. So well done. And what a great voice, too. I adored Livie, wanted so badly to take her under my wing and comfort her. The poor thing is so broken in this, struggling not just to grow up, but with the tragedy that has struck their family.. Such a heartbreaking, moving read, but also funny and sweet, just like Livie who is so resistant to change. The writing was unbelievable as well. While the voice was strong with Cajun eleven-year-old influence, it was also lyrical and poignant. So much said in so few words—about growing up, about dealing with tragedy and immense guilt, about the tempestuous link between family members, and especially about that complicated, angsty bond between a mother and daughter. We also get to see the stirrings of first love. It’s a vivid portrayal of one girl caught between childhood and adolescence dealing with a life-changing, earth-shattering event. But above all, it’s a story of redemption and the incredible power of hope and love. 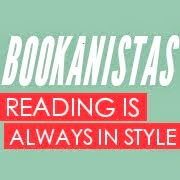 YAY to the new Bookanistas! Yay, more blogging from Carol! What a great review, thank you! I have to read it -- have just clicked and purchased. Whoa! My comment disappeared. I can't remember if you have moderation turned on so I'm commenting again. Great review...falling in love with an alligator you say? That's some good writing there! I'm just so glad to see you.l back. My Ultimate Quirk Fix! Yay for your blog posts!!! And man, aren't the new covers amazing. I loved Healing Spell!!!!! Wow, this sounds really good! And a great pick for my nieces. Yay! Great review. I love when a book plays with my emotions. Wow, that book sounds great! Might be picking that one up soon! I don't read much MG, but your review makes this sound very appealing, especially the tug of secrets and the bayou setting. I hope your holidays were lovely and that you found time to relax while you were 'away'. As always, you give the best reviews without giving away any spoilers. I remember when Elana reviewed this book, she loved it too. Happy 2011, my friend. May it bring you great joy. Good review--I am going to add this to my TBR! Yay for blogging regularly, lol! Your review makes me want to read this book, Carol. I confess it didn't sound like something I would like, but now I'm rethinking that;) And I know my oldest daughter would love it. SO glad you are back! I will add this book to my list because your review did it justice. And here, here to blogging more regularly! Oh my gosh, what a way to start my blog reading today, Caroline! I'm weeping over your review! It's beautiful and I'm so touched and thrilled. Thank you, thank you! I have to confess that I worried if you ever read the book (knowing it's not your usual cuppa) and that you *would* think, "meh". You just made my whole month, girl! And I just learned that Amazon has the beautiful, embossed hardcover for practically HALF PRICE right now! Wowza. Great review. You have me intrigued, big time. I kind of forgot I own this book! Thanks for review ... I'm gonna make sure I read it! The Healing Spell is on the wish list. I clicked on the new bookanistas. Now I have more reviews to read. Elana already sole me on the book with her review, but your review made me yearn to have the book now! That list is growing again. Sounds like another great book! Thanks for the review. I love the cover...It sounds like the Healing Spell worked its magic on you. You've made this sound like a total must read! Going on my tbr list....thanks. I won this from Miss Elana but still haven't read it. It will be higher on my to-read list. Thanks for the review. Glad you're back.